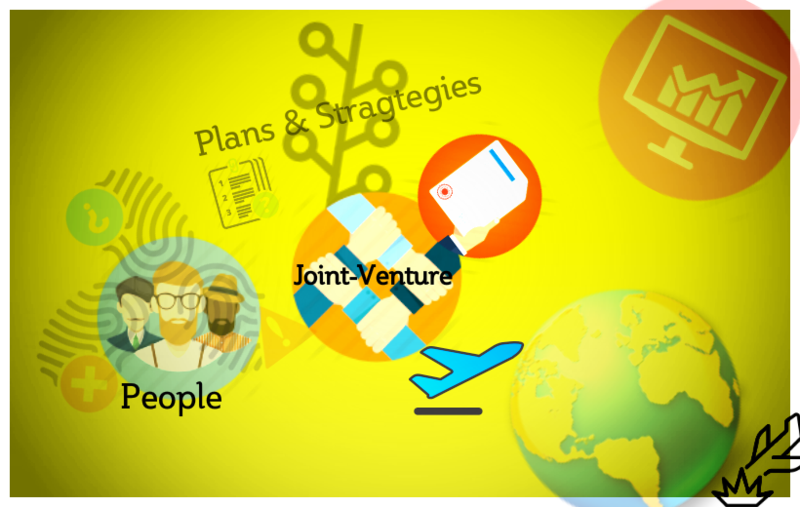 How I Failed My Ambitious Joint Venture And Partnership Abroad? Why talking about failures, JV and internationalisation? The whole story happened some 10 years ago. The pitch idea was creating a new cosmetic brand for the Chinese market. The Chinese cosmetic market was at that time a 2 digit percentage growth per year market. The (my) innovation idea came quite quickly: aromatherapy. Neither in France and even less in China the word “aromatherapy” spread all over the magazines. It only came just two or three years later, under the pulse of big brands. I’m not a cosmetologist, but I’m quite an innovator, I’m resourceful and know how to find what I need (knowledge, knowhow and technology were in France). I spare you the details. In the adventure we were at least 2 (my partner and I) + a Chinese investor who had money, land, empty industrial facilities and a will to invest in new industrial projects for a fast growing market. On the paper everything was right! I’m telling you, I fall in the same trap as E-VE-RY-BO-DY fall in! About this, I was neither better, neither smarter than other people. Intelligence and diplomas change nothing! Simply because the problem is neither related to intelligence, neither to the sum of knowledge. The trap is related to … PEOPLE! Probably in "After all ... it's just business"
So, some 10 years ago, that’s what I believed … more or less. I was just aware that feeling quite good with a business partner was primordial. And that was the case! The problem was not there! Oh naive I was … hope filled with blind faith. Expecting that if something wrong happen, I, we would be able to managed it. What should I know before entering into a partnership, to be able to make smarter decisions? Behaviors, talents, values, purposes were merely understood – just at the dictionary definition level. Believe me or not, that’s where (almost) everybody makes mistakes! Actually, I thought I had some clues about all this ... but I was blind. what was the “shape” of his HUMAN CAPITAL! I had no tools to identify, to measure all these, to engage deep dialogue. The kind of dialogue that clarifies gaps, allows gaps reconciliation, fosters thoughts, engage and empower. We were just ambitious, pushed by a desire of creating something, expressing an entrepreneurial gut desire in a place where things looked possible to us. and as much as possible growing. It’s not that much personal. Talking about personal stuff is a bit inappropriate for business relationships. You’re right that makes pretty a lot of things. The list might sound superfluous. If it does, it means you’ll soon or later have serious problems, unless… you’re lucky. Can you really just rely on being lucky? (of any kinds), the failed mergers and acquisitions. Identifying, measuring the HOW’s, the WHAT’s, the WHY’s of the partners and the partnership are essential, the foundations to foster understanding, organization, engagement and empowerment. About the author: Xavier BARILLER helps to bring clarity in projects, in making decision, in building the foundations to healthy and sustainable partnerships (partnership with a wide definition).